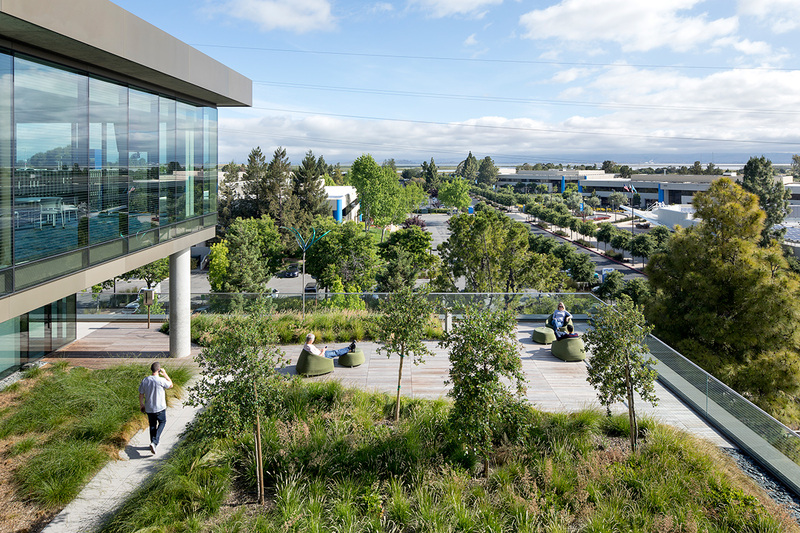 Transforming financial lives for over four decades, the people of Intuit have long felt a part of something vital, and the company wanted to honor their employees with new workplace environments that support their strong culture and aspirational mission to power prosperity around the world. 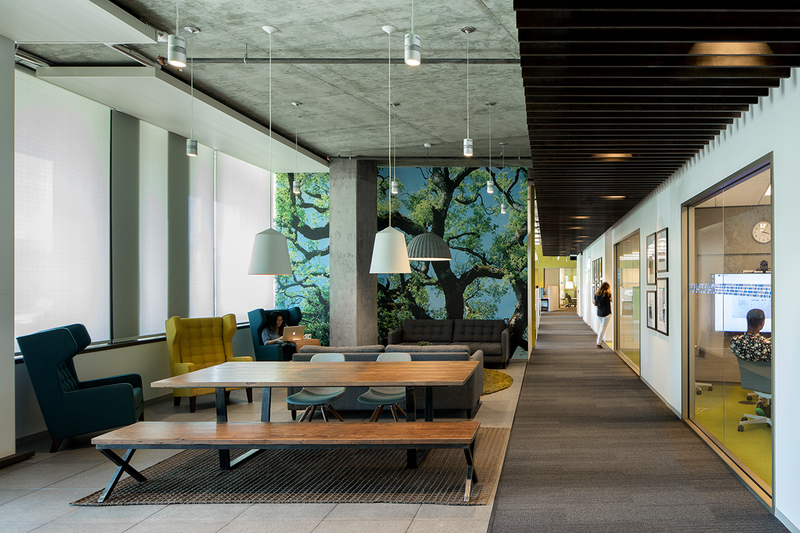 Their primary goals were to support growth, attract and retain top talent, foster collaboration, and provide a place for the community to come together. 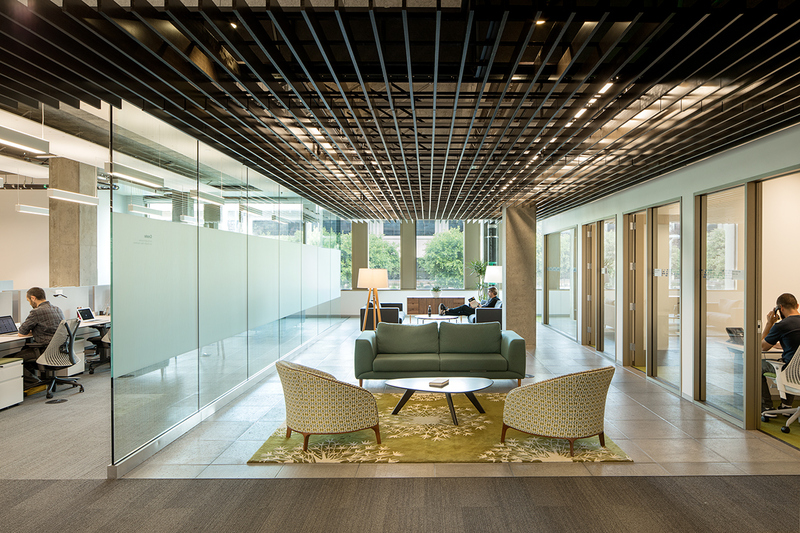 In response, WRNS Studio (site planning + core/shell), and Clive Wilkinson Architects (interior design) worked as an integrated team from the project’s inception to develop a phased design solution for two new office buildings and two new parking structures. 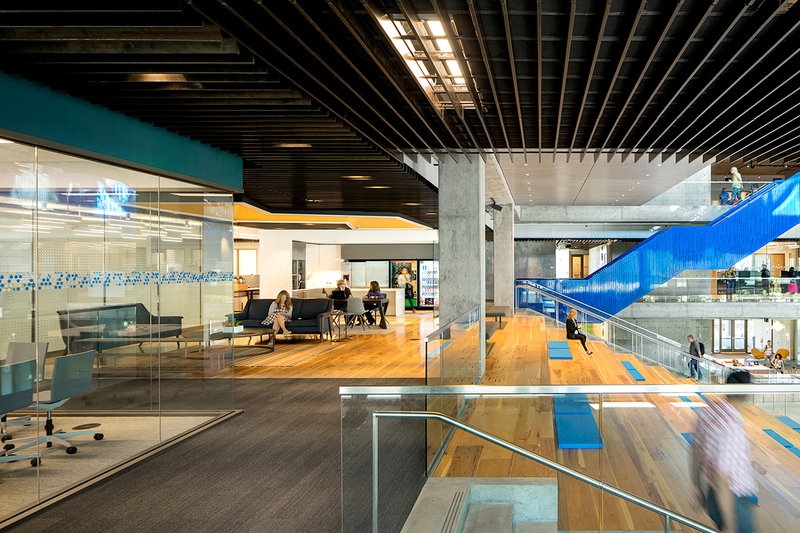 Following site analyses, staff surveys, visioning sessions and workshops with the Client, the design team developed a site, building, and interior design response for the Marine Way Building (an important milestone in the company’s multi-year campus update) to create a central hub for the increasingly global Intuit community, as well as a workplace that feels like home. 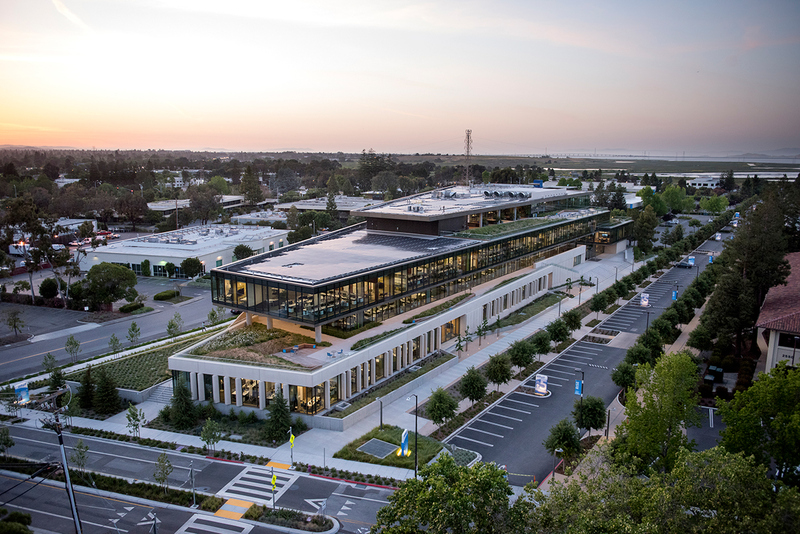 The planning and geometry of the building, with 185,400 SF across four floors, is low, wide, connected, and flexible — a strategy that addresses programmatic and collaborative needs, reinforces campus patterns and cohesion, and creates interest along the street. 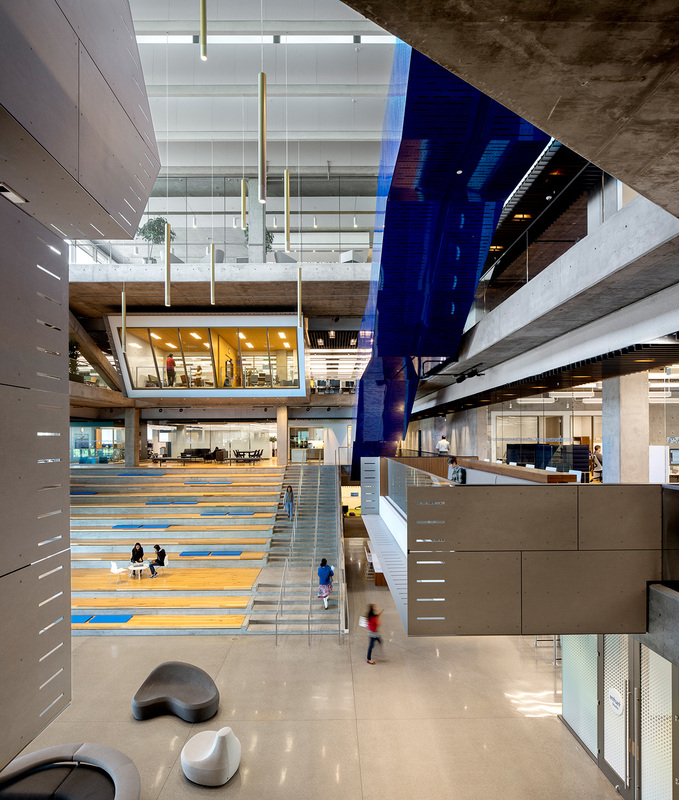 The large floor plates, which accommodate a variety of spaces for people to collaborate, concentrate, and reflect, are organized into human-scaled neighborhoods and connected by clear circulation. 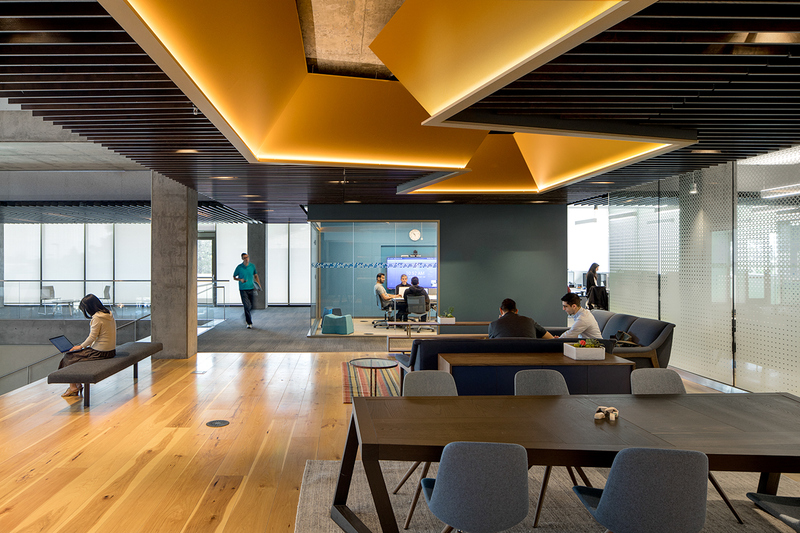 Cores are pulled to the perimeter of the building, allowing for maximum connectivity and flexibility in team configuration and workflow between individual desks, breakout areas, lounge spaces, and conference rooms. 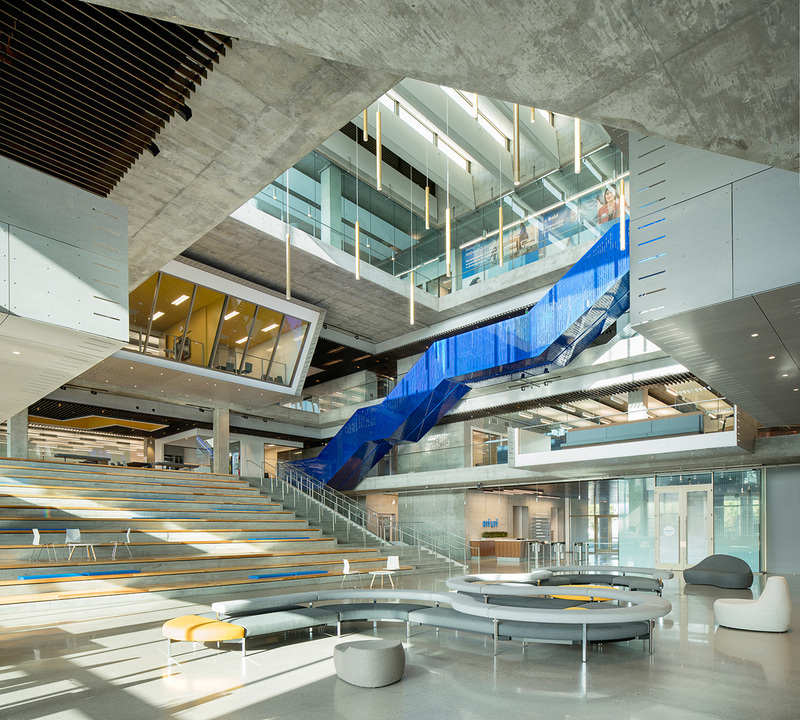 A café, living rooms, sports facilities, showers, and terraces spin off of a highly visible atrium that opens out onto the campus’ main internal street. This variety of programmatic functions along the perimeter of the atrium helps generate a consistent buzz of activity throughout the workday.